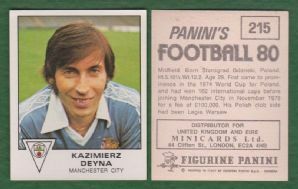 Football card issued by Panni under the Football 80 series. Measures approximately 5.2 x 6.6cm. 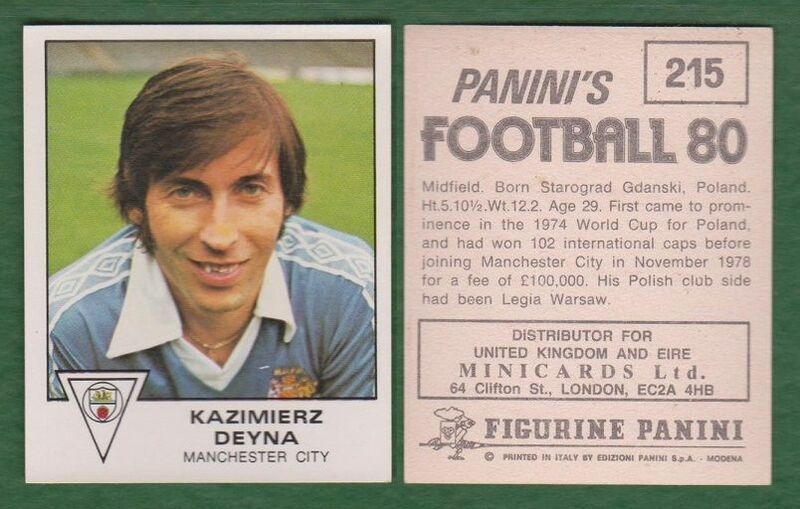 Depicting the Manchester City and Poland star Kazimierz Deyna.